You are currently browsing the tag archive for the ‘Dooky Chase’s’ tag. 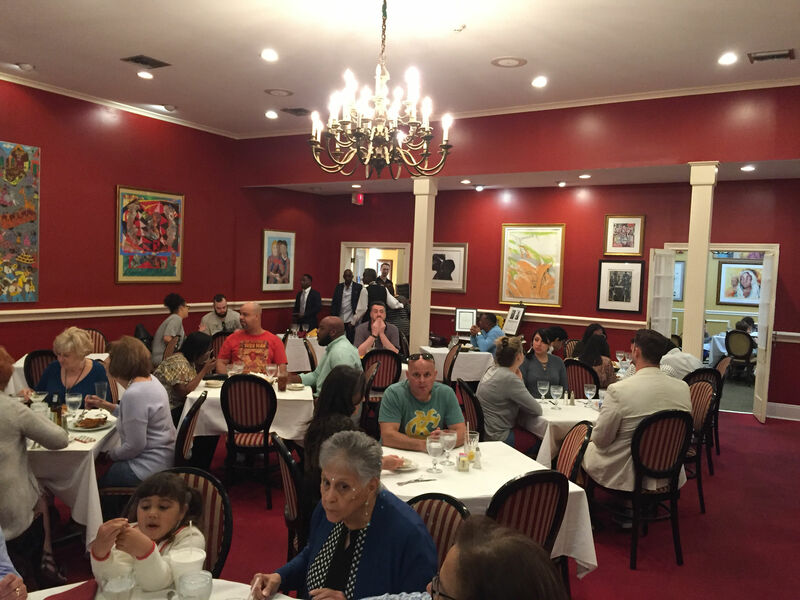 Dooky Chase’s restaurant, open since 1941, is famous for multiple reasons including a civil rights meeting place and the source of authentic Creole cuisine. It was not until my fourth day in New Orleans did I finally set foot for the very first time in the French Quarter, and walk down Bourbon Street, and drink too much, and eat beignets. But first we went to Treme. 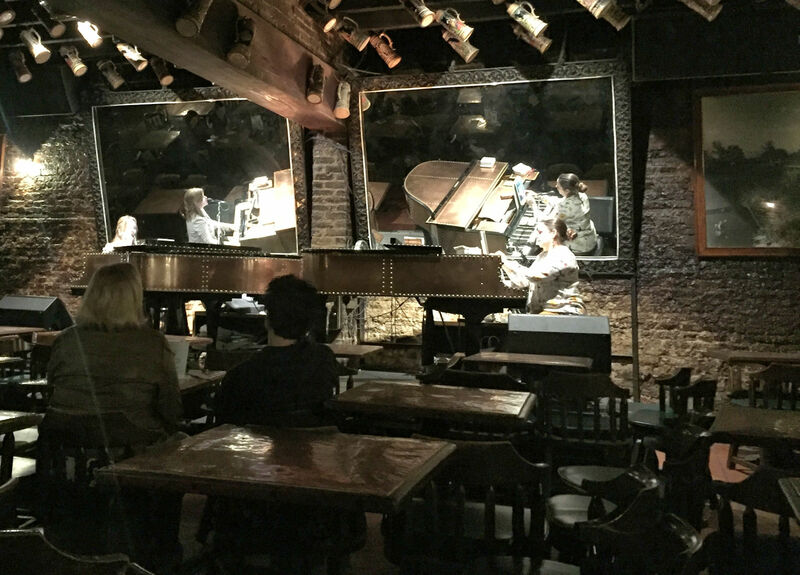 Inside Dooky Chase’s. 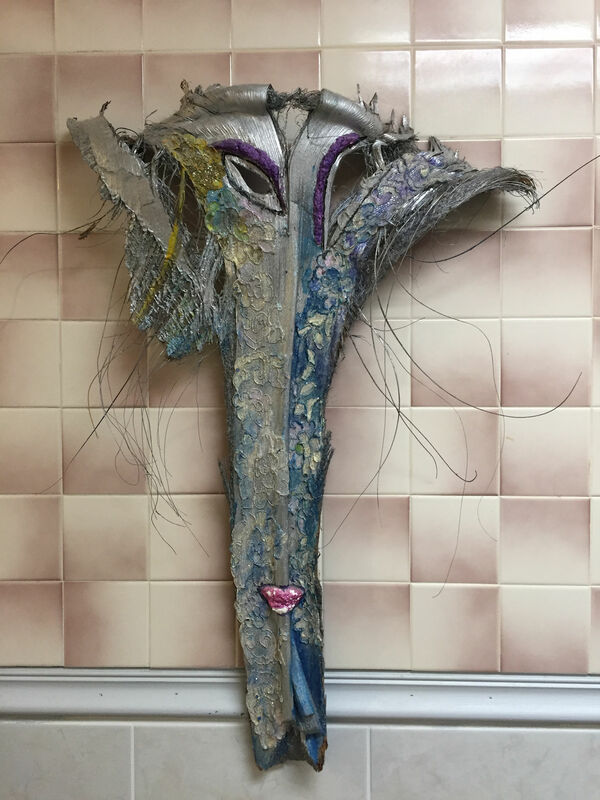 The walls are covered in work by African American artists. A room off to the side of the main dining room. 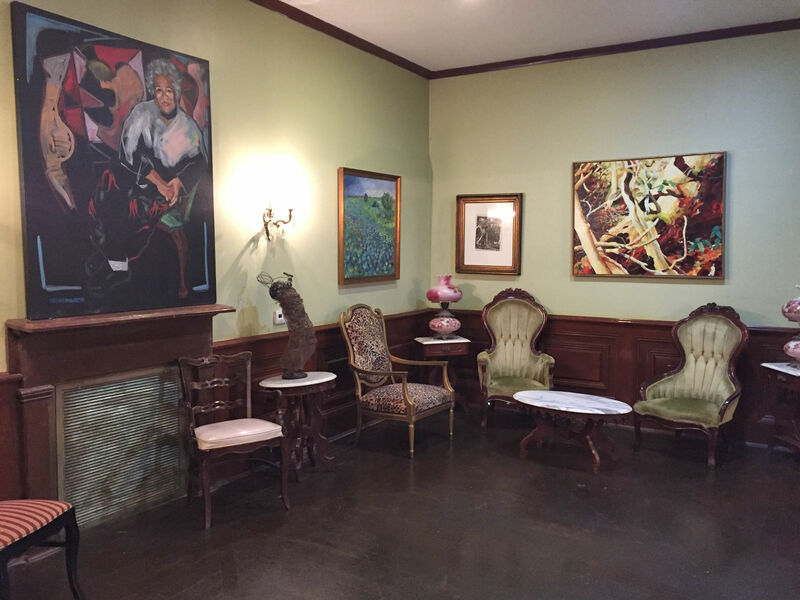 The painting is of Leah Chase. I liked the yoni in the bathroom. Today we skipped breakfast and hit Dooky Chase’s for an early lunch so we could stuff ourselves at the buffet. 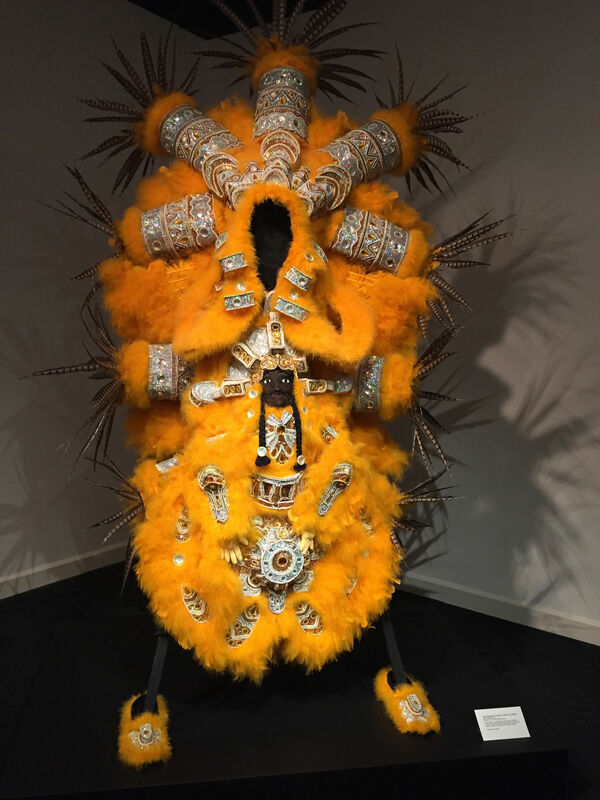 Part of the interest for me was that we were going into the Treme community, that I know from watching the show by the same name. This is a working-class neighborhood with predominantly black homeowners and shop owners. 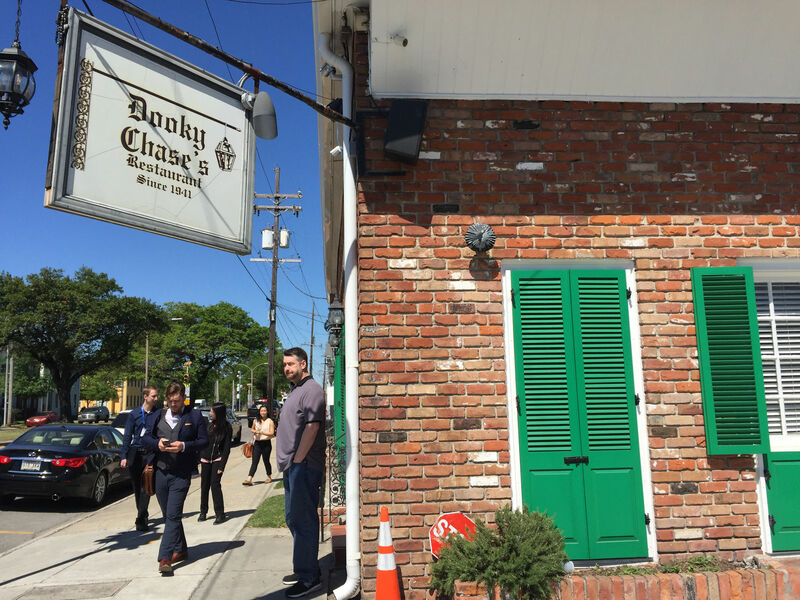 Dooky Chase’s closed its doors for two years after Hurricane Katrina because this entire neighborhood was flooded. Hurricanes Katrina and Rita came through in 2005, so it has been over a decade, and on the major streets where we were, there was very little evidence of the flooding to untrained eyes. People who came with us to eat at this iconic restaurant were all here to pay respect to the history and impact of the place. Each person was either quietly humble, or gushing in appreciation, and the staff returned the gratitude with their own for the customers’ support. Me, having never heard of the place prior to my trip, I just kept my mouth shut and watched and listened. 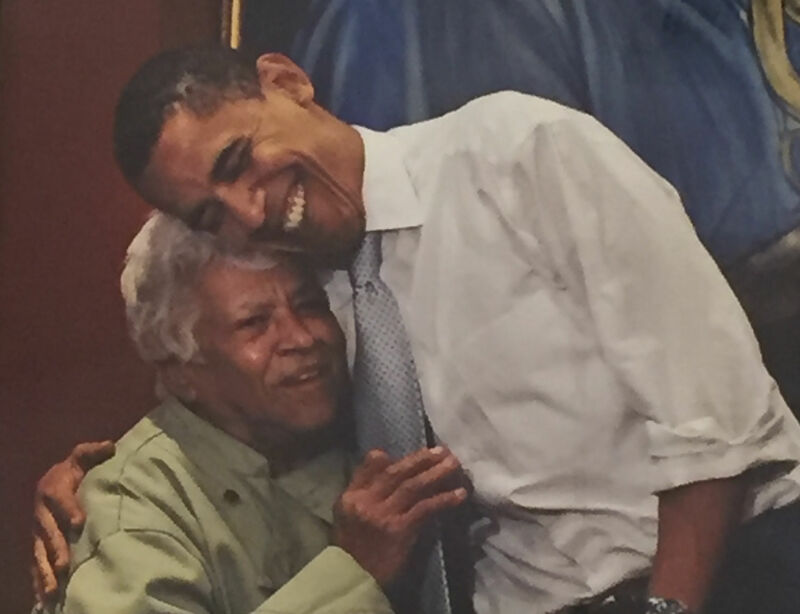 Inside the front door are paintings of Obama with Leah Chase, the celebrated head chef and longtime owner of the place. There are photographs of the two most recent popes. 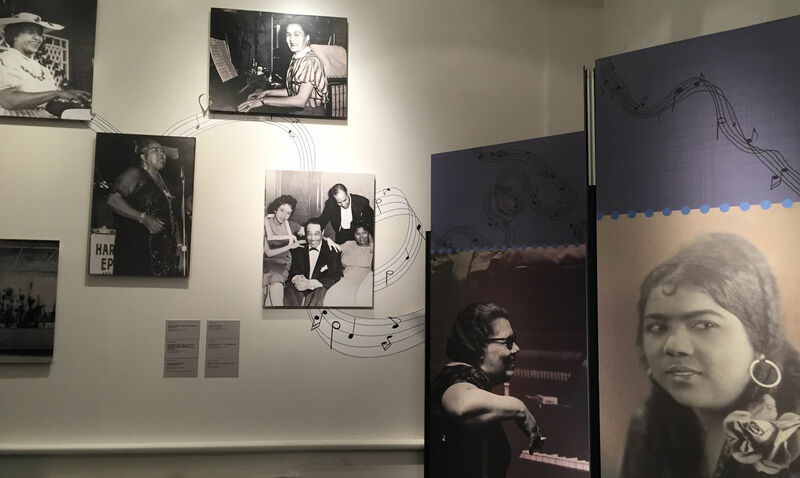 In 1941, Ms. Leah was the one to turn her husband’s sandwich shop into a sit-down restaurant and then make it a haven for black organizers and a venue for black artists. 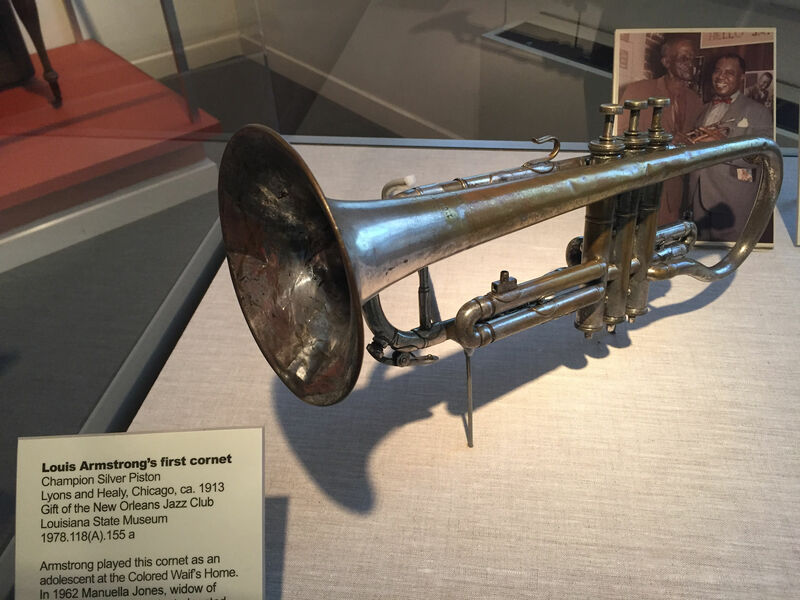 In their turn, patrons included Louis Armstrong, Martin Luther King, and the Black Panthers. At 97 years old, she is still an active part of the business and I hoped to see her but did not. 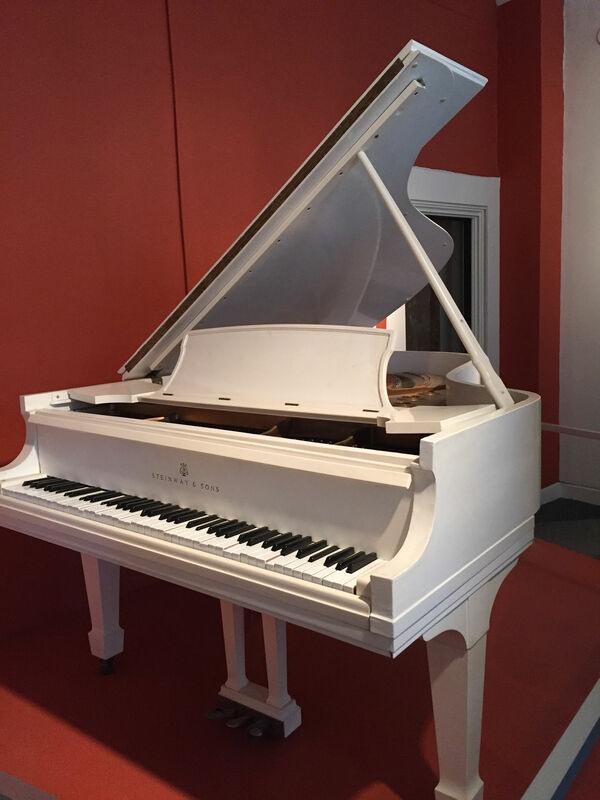 One of Fats Domino’s pianos, rescued and mostly restored after being destroyed in Hurricane Katrina. 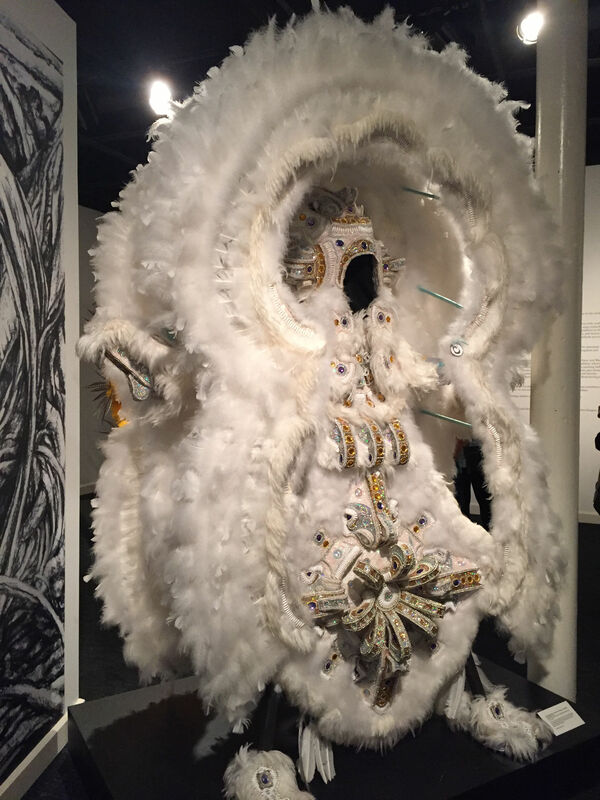 One of the astonishingly magnificent costumes worn during Mardi Gras by a distinct contingent of participants. 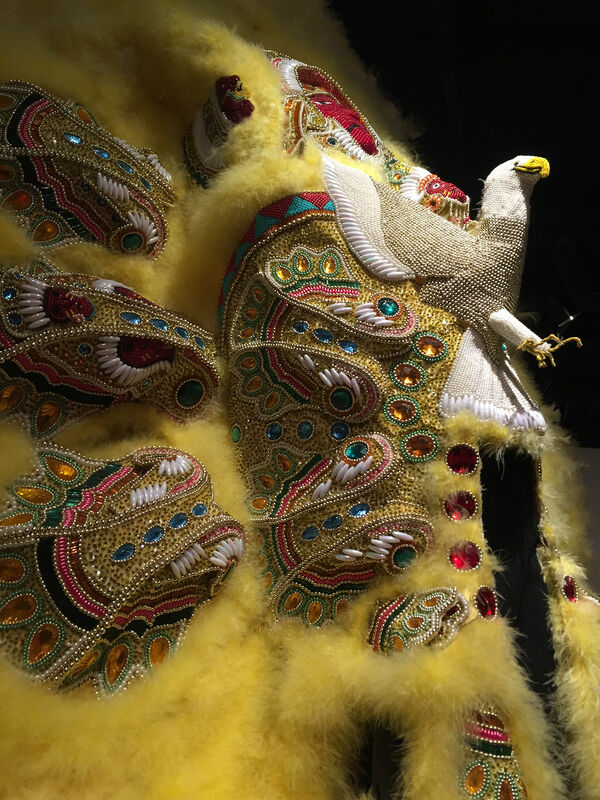 These costumes are made of feathers, beads, sequins, and rhinestones and can take more than a year to create. 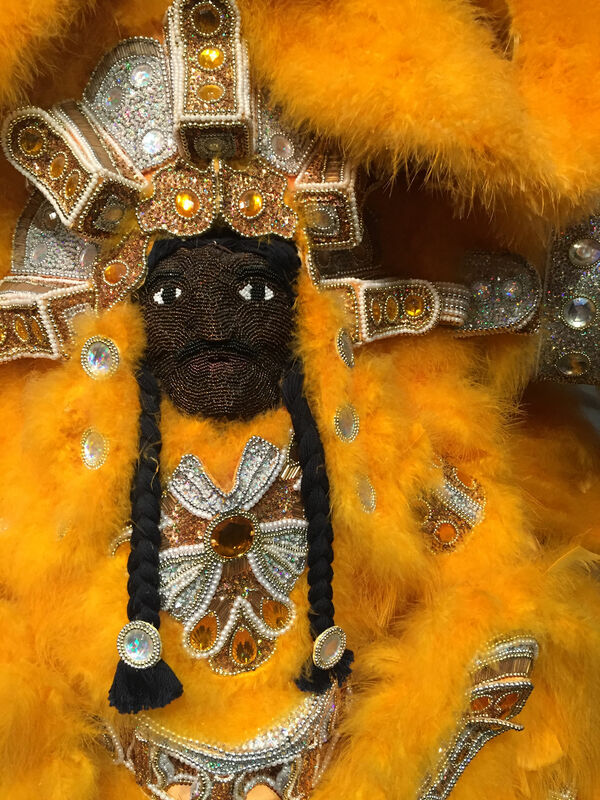 Detail on one of the masks. Ranger Matt and Julie. Ranger James is behind Julie. Ranger Matt explained that, of the 20,000 employees of the NPS, exactly 4 of them were hired to be musicians and all 4 of those are in New Orleans. In other words: ranger musicians are rare. 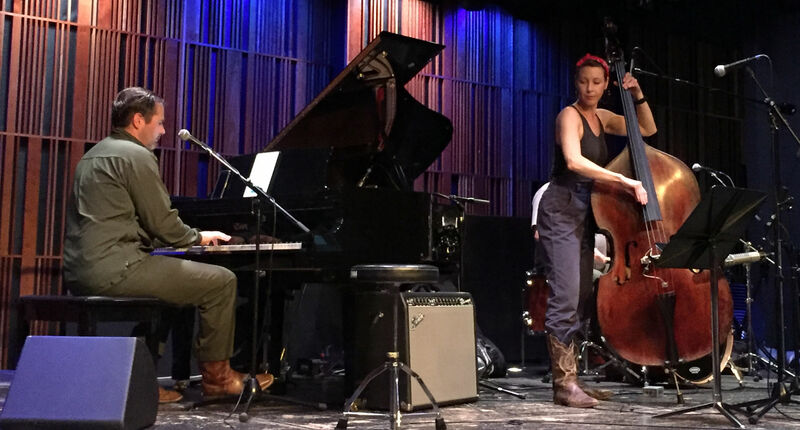 U.S. Park Rangers are entrusted with protecting and preserving natural and cultural resources, and the the NPS decided that New Orleans jazz is one of those resources. Beignets with almost enough powdered sugar. Out on the street we stopped for a few moments to listen to the fabulous music of a large percussion band on the sidewalk right there across the street from the Jazz Museum, on the edge of the French Quarter. 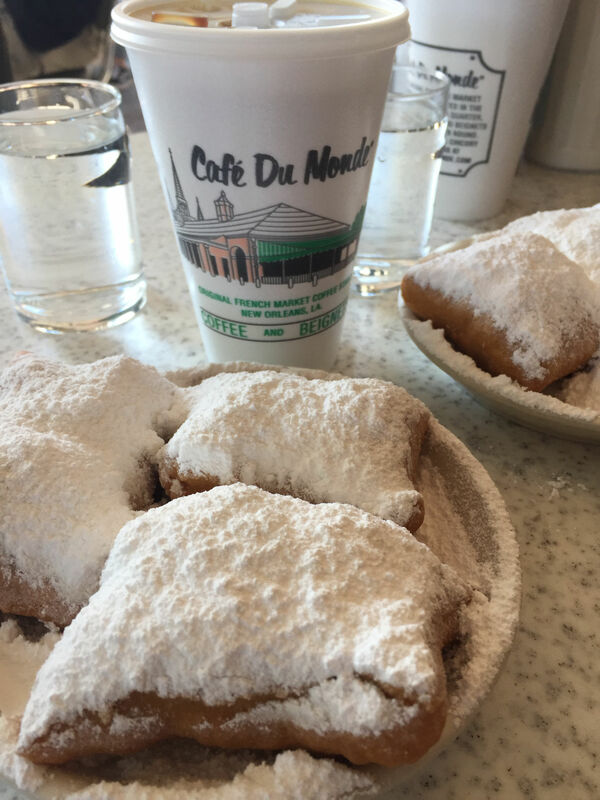 Next we walked over to an open market where local entrepreneurs sold their wares, and then got in line at Cafe du Monde, another famous stop, and had coffee and beignets. These are fried square pastries covered in powdered sugar – like doughnuts. It had been a windy day and while we sat there we witnessed multiple fierce gusts of wind stirring up sugar tornadoes. Everyone in the outside seating patio was covered in powdered sugar in no time. Then we plunged into New Orleans’ most famous district. Ironwork for which the French Quarter is famous. 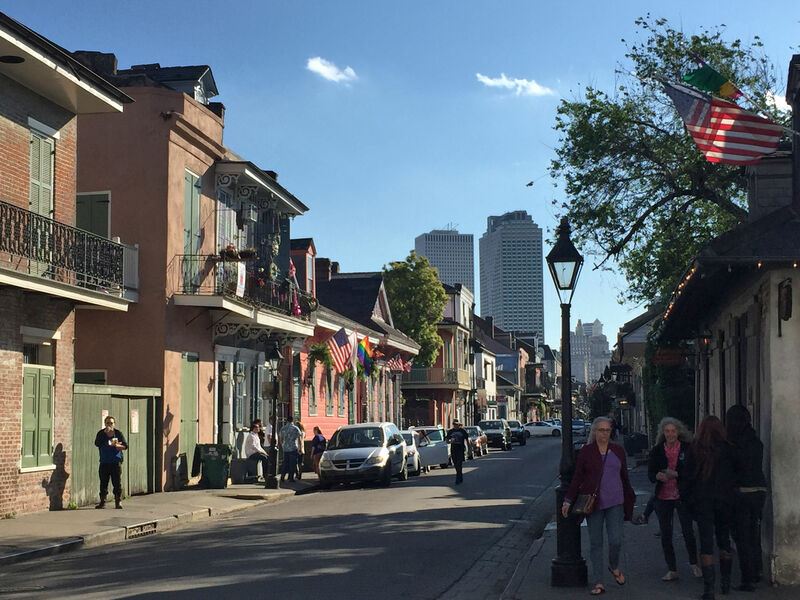 A street in the French Quarter. Bourbon Street, looking toward the center of New Orleans. 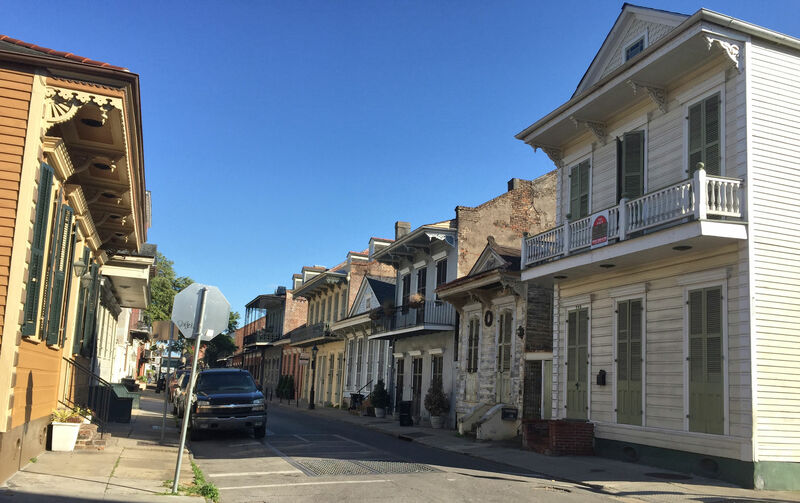 The French Quarter dates to when New Orleans was founded by a French colonist. The distinctive architectural styles retain the influence of construction during the late 1700s. 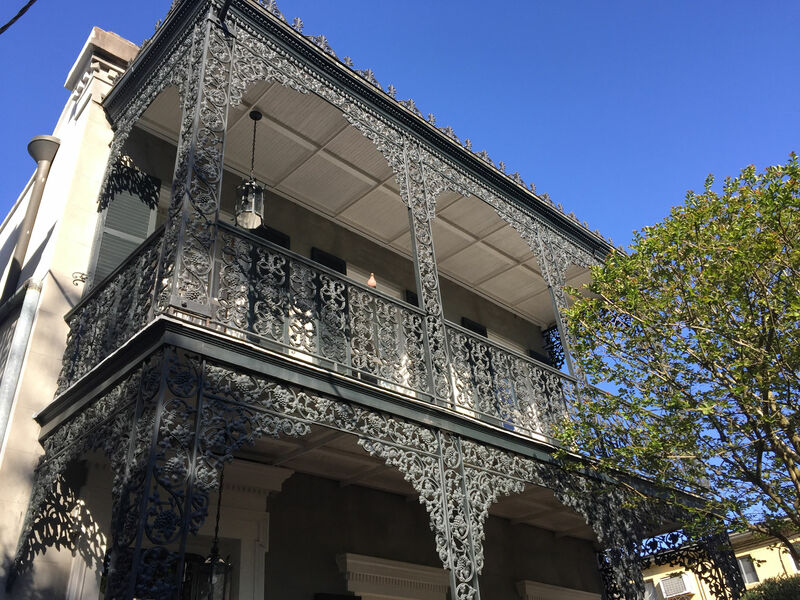 Today the age of the buildings is evident, and the most eye-catching design is the prevalence of cast-iron railings and decorative work around balconies of nearly all of the structures. 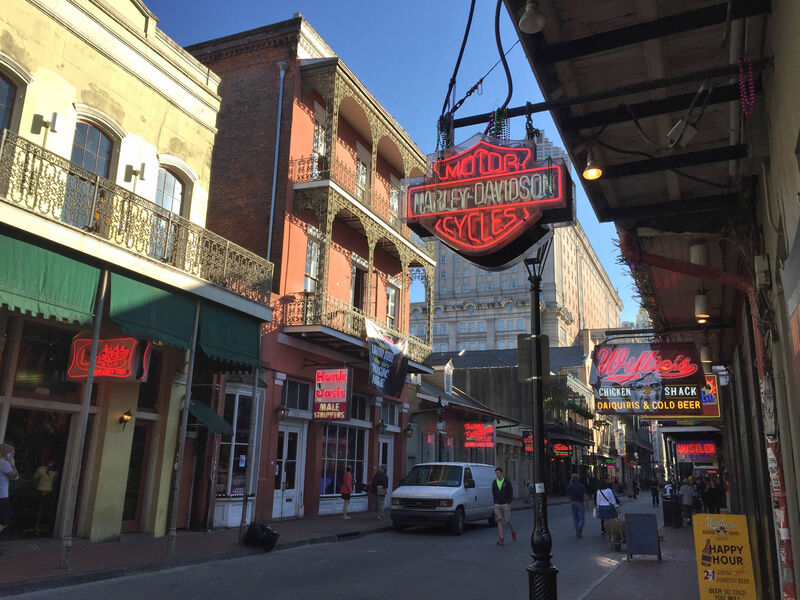 We walked the entire length of Bourbon Street, famous today for unlimited drinking by people who can purchase alcohol right on the sidewalk and can carry their drinks with them when typical American cities have “open container” laws preventing that. Patrick and I walked through in early evening while the sun was still up, and cars were still moving along Bourbon Street (auto traffic is prevented at night). So we didn’t see the craziness. We did hear live bands on every single block, however, which is another thing the area is known for. 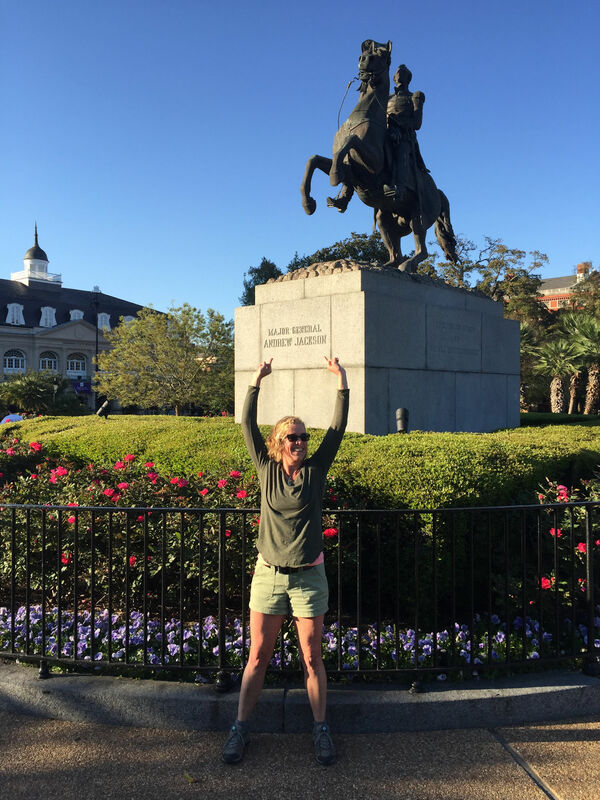 We criss-crossed the district, peeked into windows, and admired the sights until we ended up at Jackson Square. 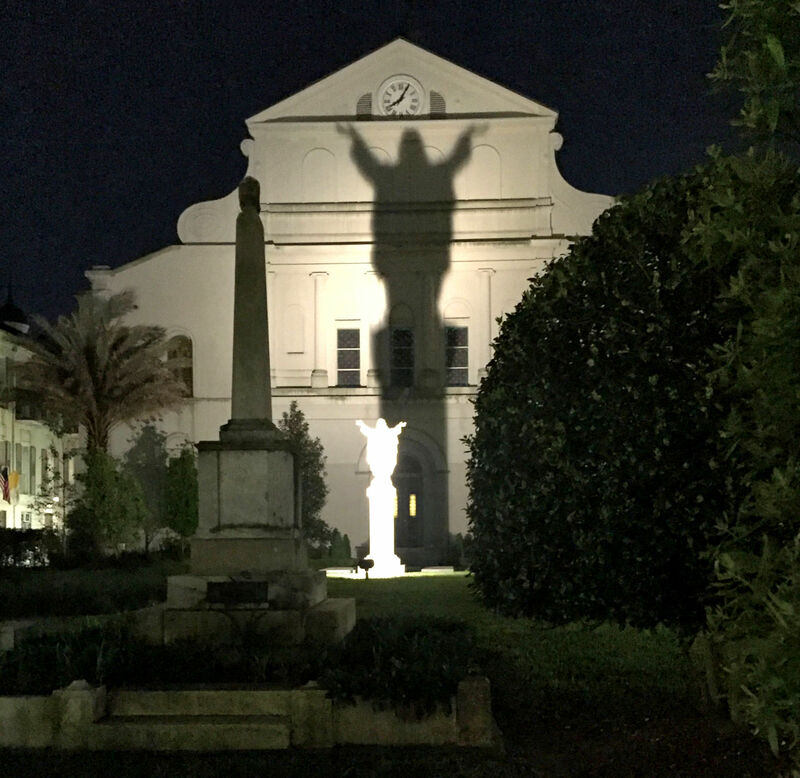 It is a lovely little park between the St. Louis Cathedral and the Mississippi River. I had only one thing on my mind there, however, and that was to express myself to Andrew Jackson. I am not a fan of Andrew Jackson. We headed back into the district and found Pat O’Brien’s. We ordered their specialty drink and settled back to listen to the piano duo take turns playing songs requested by patrons. We had several drinks and finally headed out into the nighttime with a neon-lighted street where revelers were just beginning to get warmed up for their night on the town.